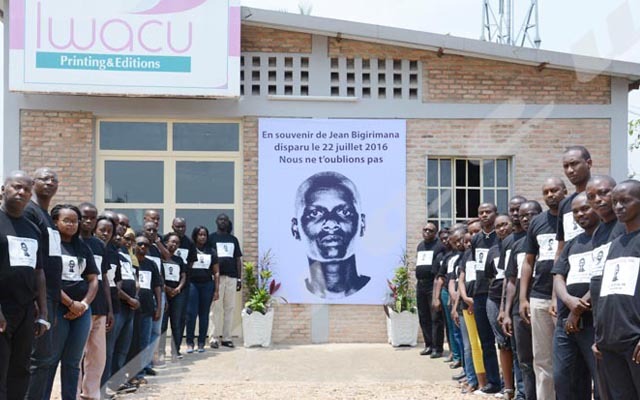 Forty seven families made of 471 people from Mugaruro area, Buterere zone in Ntahangwa commune, in the north of the capital Bujumbura are now gathered at the former offices of Mutimbuzi commune in Bujumbura province. They left their destroyed houses due to the heavy rain that fell last week and are now sheltered in one room. “Our houses were flooded and destroyed after the heavy rain that fell since Friday”, says an old man met in the area. Their belongings have been damaged. They call for humanitarian assistance. Burundi Red Cross has already provided them 15 Kg of rice to each family. The victims of the flood also strongly appeal to the government to channel the gutter which drains all waters to the Mutimbuzi River. The same view is shared by a local administrative official. “Even if the victims will be assisted and their houses rebuilt, flood will always destroy houses if the gutter is not constructed to drain all waters to the river,” he says. About 40 houses have been destroyed and 400 flooded during the last heavy rain in Buterere zone of Ntahangwa commune. In April 2018, more than 2500 people from Kiyange area, Buterere zone in the north of Bujumbura were left homeless after the devastating flood where about 300 houses were completely destroyed.